Have a day of magic on the 4th (Tue) at Tokyo Disneyland. 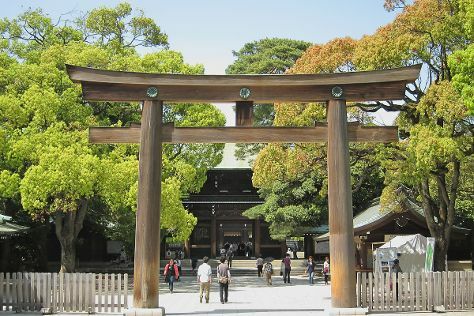 The adventure continues: make a trip to Meiji Jingu Shrine, admire the landmark architecture of Tokyo Tower, explore the world behind art at Tokyo National Museum, and take in nature's colorful creations at Shinjuku Gyoen National Garden. To see more things to do, photos, other places to visit, and more tourist information, read Tokyo day trip tool . If you are flying in from Egypt, the closest major airports are Tokyo Haneda International Airport, Narita International Airport and Hyakuri Airport. In September, plan for daily highs up to 32°C, and evening lows to 24°C. Finish up your sightseeing early on the 4th (Tue) so you can travel back home.